The first ever College Football Playoff and the semifinal games, along with major bowl games like the Cotton Bowl and Outback Bowl exposed what everyone has known for quite some time: The SEC isn’t as good as it’s been hyped up to be, while there’s more than just awfulness in the Big Ten. The work done by Michigan State, Ohio State and Wisconsin while the failure of Auburn and Alabama helped bring forth the truth into the light. It began with Wisconsin rushing its way against Auburn and its terrible defense to a 34-31 overtime win. The same Wisconsin team that was destroyed 59-0 by Ohio State in the Big Ten championship game, as “experts” actually thought that it would hurt the Big Ten. Wisconsin are a good team that had a bad day, but they were unlucky not to beat LSU earlier this season and weren’t that far from being in the discussion for the playoff all season long. 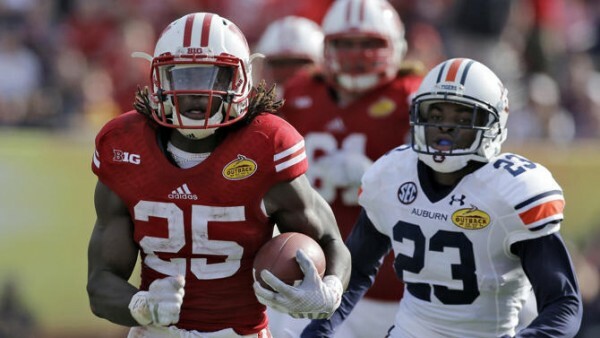 Melvin Gordon rushed for 251 yards on 34 carries, scoring three touchdowns to cap off a brilliant collegiate career. He had help from Corey Clement with a touchdown catch and 105 rushing yards, making Joel Stave look good for once in a bad game for him. Nick Marshall didn’t throw any interceptions but his running was limited to just 18 yards on 7 carries, as the defense failed Auburn once again when it mattered, ending with Rafael Gaglianone hitting a field goal that send the game into overtime, following by hitting another field goal to win the game. That was followed by Michigan State in a crazy match in the Cotton Bowl. The Spartans beat Baylor 42-41 despite looking out of it so many times during the game. 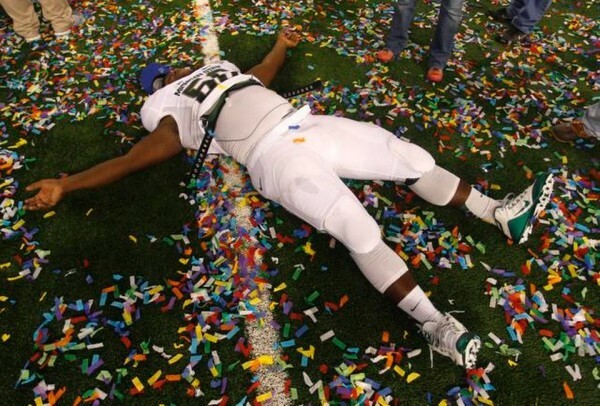 They scored three unanswered touchdowns in the fourth quarter, climbing out of a 20-point hole, and showed incredible resiliency and the ability to get up from being knocked out, while Baylor, for the second straight season, leave a very good season with a bad taste in their mouth after losing a major bowl game they were favorites to win in. After scoring a touchdown to make it a 13-point game (41-28) an onside kick gave Michigan State the ball, but Connor Cook was intercepted in what looked like was going to be the end of their day. But Baylor got nothing out of their next drive, and Michigan State replied with a Jeremy Langford touchdown, leaving Michigan State 4:55 to stop Baylor and win the game. Baylor had a field goal blocked and gave up a touchdown on the next play (Cook to Mumphery) with 17 seconds left in the game. Bryce Petty threw and interception on the final drive, and their bid to ‘be like TCU’ was over, picking up their second loss of the season. The day ended with another huge win for the Big Ten, as big if not bigger than Michigan State winning the Rose Bowl last year. They fell behind 21-6 to Alabama that looked stacked and ready on both sides of the ball to show that everyone backing them (ESPN had 43 of 44 “experts” picking them to win) was right. But Cardale Jones settled in, Ezekiel Elliott was unstoppable and Blake Sims kept making foolish mistakes (three interceptions). In the end, a huge Elliott run led to a 42-28 lead that the Buckeyes managed to hang on to despite some moments of being afraid, which included giving up a touchdown to Amari Cooper and having Alabama advance towards what could have been a game tying touchdown, before Sims threw his third interception of the game, which meant that for the second straight season, an SEC team wasn’t going to win the title and for the first time since the 2005 season, no SEC team will be playing for it. 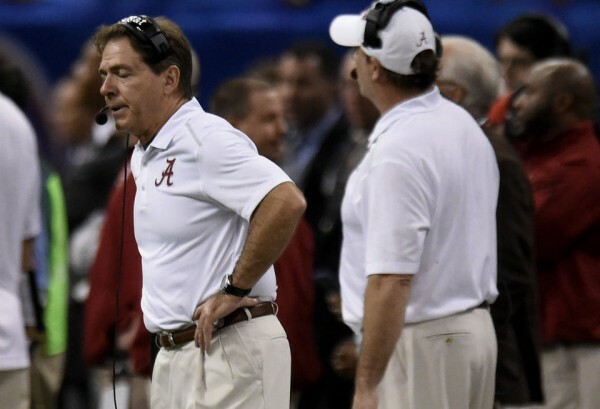 Is the SEC a bad conference? No. But it has always been overrated as a whole. There have been some great teams coming out of it, usually winning the national championship. But in the flawed world of the BCS and generally college football, it made it seem to people that in its entirety it’s better than everyone else. But there are good, bad and mediocre teams there, just like in any other conference. For the second straight year, it also doesn’t have anyone special to help them win some bragging rights.